Saul Marquez: And welcome back to the podcast. Today I have an outstanding guest. His name is Dr. Umesh Prabhu. 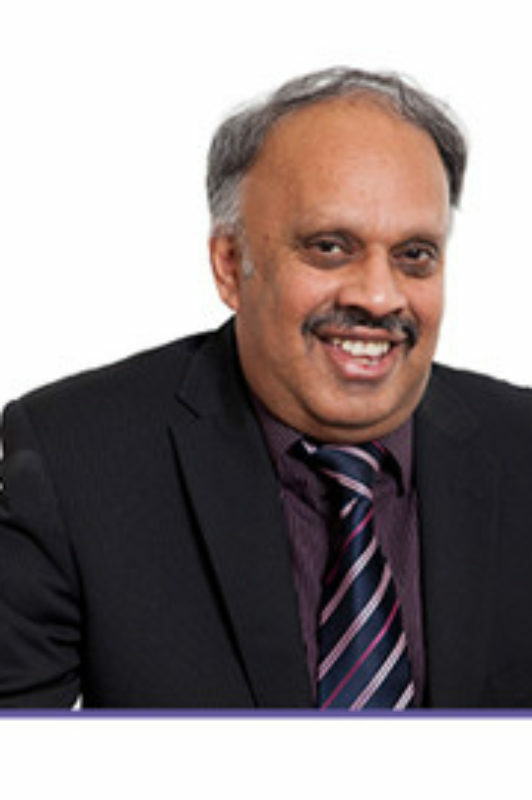 Dr. Umesh Prabhu is currently working as Medical Advisor for Edgehill University for International Medical Recruitment. In fact, he just got back from India having recruited over 500 physicians. He’s a patron of AVMA, a charity which helps patients who’ve suffered due to medical negligence. He’s also a member of the Patient Safety Advisory Committee of Datix where he helped transform the trust and reduce harm to patients by 90%. That’s 9 0. And trust received 45 awards and 450 less patients die each year and all quality measurements have improved. Complaints reduced by 35%. He is doing some outstanding work in patient safety and it is a privilege and a pleasure to have you mention on the podcast. Welcome to the show, Umesh. Dr. Umesh Prabhu: Thank you very much Saul for your kind invitation. It’s a great pleasure to tell your patients. Saul Marquez: So Umesh, tell me how did you get into healthcare to begin with? Dr. Umesh Prabhu: Well so that’s also very interesting. I didn’t want to be a doctor. Dr. Umesh Prabhu: In 1962 she got medical entrance into three medical college but she was not allowed to go into medschool because she was a woman. Dr. Umesh Prabhu: And then she got upset. She said “I would make you a doctor one day. And I was very good at studies. And I was from South India. I got my good grades and I was doing engineering but my sister applied for my medical college and I go into medicine. Once I got into medicine I just loved it. Saul Marquez: That’s awesome. So I love this story. She’s is like “you know what, screw it, you’re going for me. You’re going to do this” and it turns out you actually really love that once you got in. Dr. Umesh Prabhu: A mental guardian once I talk to them because I always love to do. And I wanted to be a pediatrician and I had a fantastic role model in India who made me who I am. So in 1982, I did my diploma. I got distinction but I was struggling to get my post graduate. In India, you had to be selected to do your postgraduate and I was struggling for a few years and my friend from U.K. came to India. I went to say hello to him. He said Why don’t you come to England. And I had no idea what it meant or the United Kingdom was. I come from a very small village in south India. And when I told my father I’m going to England as an architect. Dr. Umesh Prabhu: He was shocked, he was shocked. So but he always encouraged me so I came to England in 1982. And then I had an amazing career and I became a consultant in 1992 in a small place known as Betty India. And within four weeks, I made a fatal mistake and six week old baby doll looks to be brain dead and six things went wrong, six things went wrong. Saul Marquez: What went wrong? Dr. Umesh Prabhu: So it was, there were two babies of the same name and almost same date of the natural… And I saw very faint bruising and I wanted to rule out child abuse. So I asked my junior doctor to get a telephone survey which is especially week and he didn’t realize there was one more baby with the same name same date. So at the end of the work on he requested for the wrong baby and he gave the card to the nursing staff who didn’t know she was taking the wrong baby. So you can see how things went wrong because same date of birth, same date of birth, same name. And that is how things went wrong. And I send the baby home without realizing baby didn’t have a full skeleton of it and stepfather was abusing the baby. He stamped on baby’s skull and one month later the baby was admitted to neighbouring hospital and baby has to be brain damaged. And that is what happens to a pediatrician when some child has been damaged because of this. I was totally devastated. I didn’t sleep for three days. It affected me to a great extent and I realized what six things had gone wrong. And I put the six systems in place I thought that was in the lead in four weeks and their baby died. I didn’t make any mistakes. Junior’s nurse’s mistake. It was systems failure. And that was in 1992 and I found interesting efficiency of it since then since then I’ve done nothing but wait not just make mistakes. How do I identify them early. How do they avoid these mistakes. And I probably have given more than 300 lectures on patient safety, on government, organization culture, leadership, everything. And now it has become a mission for me to reduce harm to patients across the world. Saul Marquez: I think it’s a very excellent story, sad and revealing. You know really kind of what happens more often than people think in healthcare. And so you’ve made it your mission to put patient safety at the front and center stage. No doubt that’s your key topic that needs to be on the leaders minds. What do they need to be thinking about as it relates to patient safety? Dr. Umesh Prabhu: I think I would always ask the doctors or physician, think back when you are 16 or 17 years old why did you become a doctor or physician? To make a fellow human being better. It is somebody’s child, somebody’s life. It is they who suffered because of our mistake. We can walk away but their families suffer. And I’ll give an opinion on twenty two such children who died in United Kingdom it’s their mothers and fathers pain which drives me to do what I do. Imagine your child a 3-year old child who is perfectly normal that has been damaged. We had a childhood brain damaged 17 when it says the whole thing is a real tragedy and 80-90% of them are preventable. And you said a number of patients who die is letting you breathe that status. In United Kingdom, twenty thousand patients die every year and fifty five thousand patients and they will have severe complications or permanently disabled due to medical errors. In United States, approximately 200 thousand patients may be dying that may be preventable in fact. In Australia, ten thousand patients die due to preventable medical errors and that is the scale of problem we are talking about. Every doctor, every healthcare worker, every manage,r must always put patients at the heart of everything they do. And patient safety must be given the top priority. Saul Marquez: No doubt. And the numbers are high. And you know it shouldn’t be happening but it does. And so maybe you could talk to us a little bit about some of the things that you’ve done Umesh, and things that you’ve seen done that Doctors could implement right away to improve outcome. Dr. Umesh Prabhu: That’s the important factor. And let me tell you many the refund fundamental reason for patient safety is a system error. It is not individual doctors even though there is at least individual doctors. But whilst 80-90% that are systems fail. For example, elderly patients they have pressure ulcers, in the hospital if they stay for a long and pulmonary embolism, there may be pulmonary embolism is very well known complication after surgery in elderly patients. Problems in elderly patients who are more than who’ve got dementia and if they’re admitted to hospital they fall and this fracture and all of them. If you have very good systems in place possibly we went for example patient deteriorating in the hospital. If you do not realize the vital signs, if you do not monitor carefully, and if you do not see the vital signs, and these patients can die within the next few hours. So what we did was we appointed some very good leaders to each and every department and then we put robust measurements and excellent system and process and we started giving early feedback. For example, medication error is the second most common error in the world. In United States, seven thousand patients die every year due to medicine mismanagement, medication mismanagement, drug interaction, patient known with allergy even the drug. All these things dispensing error, prescribing error, and writing mistake, I’ve seen everything. So we put robust systems and process in place and we can’t transform the culture of naming, blaming, shaming. We told the staff we are here to support you. If it’s not safe please don’t do it, come into us. And that is how we transform the whole organization. Saul Marquez: Yes it’s a great synopsis Umesh and maybe you could share a time when you shared that vulnerable moment where the baby names, there were the same names, same birth date, and the outcome. Maybe share with us a situation that things weren’t going so well but then because of a certain thing that you did they got better. Dr. Umesh Prabhu: Let me tell you a story of 21 year old girl who was found dead on Boxing Day seven years to and 15 things went wrong in the first meeting the mother said you murdered my daughter. It took me seven meetings before she hugged me and she said I trust you and that is what it means a lot to me, this family’s trust. And what we did was we did a full investigation that why, what went wrong. And each and every step we put systems in place to make sure it doesn’t happen again. And now since that incident, there has been no further progress. Let me get one more story. A three year old child was admitted not in my hospital. Somewhere in United Kingdom and for this surgery an operation went very well and the consultant asked the junior doctors to prescribe heparin and she wanted to give child happening 1500 units. But she wrote you instead of units and you that it is zero and the baby was even fifteen thousand units and their fourth child died due to intestinal Hamilton and bleeding in the sea. Dr. Umesh Prabhu: So in my unit nobody can write the unit for you. You have to write truly unique and we know about electronic prescribing. We would reduce US harm by approximately 60-70 people. Fundamentally what you’ve got to do is strain or at least stop inefficiency. Number two, to remove the culture of blaming naming shaming but support this stuff. Number three, using the common reason why patients come to harm and how they can avoid. We spent a lot of time training our staff. Number four, we wrote simple ground rules. You cannot write to you. You must write the unit and we put a lot of systems and process in place and we started giving early feedback to our staff. Then they started making stay. And that is how we transform the culture. Saul Marquez: Beautiful. It’s a very clear step by step direction that listeners can think about and just kind of ponder about how they get incorporated into their own workflow, their own systems, their own culture. Can you tell us about one of the proudest moments you’ve experienced in your work? Dr. Umesh Prabhu: I think the proudest moment is the last two years we had you know young patients dying but in the last few years the last 40 years no young patient who shouldn’t be dying has not died and our staff feedback. We’ve had a bottom 20% staff happiness in 2011. By 2016 we’ve had the third best hospital the worst in the whole of it and the trust received 45 Awards. Saul Marquez: Congratulations on that. That’s a big accomplishment. Dr. Umesh Prabhu: The credit should go to the staff you see always I say a leader is just their leader but it is the hardworking entire staff who’ve made the trust’s success. All we did was we guided them, supported them to do a good job. I always say success of any organization is because of it’s hardworking staff. Failure is due to poor leadership, poor culture and that is what I’ve always believed. We introduce patient safety at the heart of everything we do. But to happy staff happy patient and those two are non-negotiable and we implemented duty of candor that any staff would come and see us in confidence and we would deal with that. Saul Marquez: Love that. Duty of candor and this focus on patient safety is definitely critical when you think about all the things that you’re up to today Umesh, what would you say an exciting project or focus you’re working on is today? Dr. Umesh Prabhu: I think to be honest with you my duty is not Indian taught me my values. My values come from my grandmother, she always taught me always be honest, always be good and others do good to others. Focus only on you. What card. One day you may be somebody and when you’re doing something right, don’t be afraid of anybody. Courage with those values I came to UK and I had such a sweet idea. Now I would want to return to both the countries, both UK and India so that we can reduce patient safety net and let me give some statistics for India which is because India is the big country. It’s really frightening. In India, each day 200 women die during childbirth each day. In India 500,000 babies are born with brain damage every day. In India 500,000 children die due to vaccine preventable diseases. In India, each year, 1.5 million children become disabled due to preventable vaccines. Imagine what will be the world, if it will be all those traits. Saul Marquez: It would be amazing to be able to to impact that. And since you’re focused on it Umesh, I think it’s definitely exciting for you to be able to make an impact in this area. What are some of the things that you guys are working on? I mean you just got back from India. You helped recruit 500 physicians. What else are you up to? Dr. Umesh Prabhu: Right. Three things. Number one is we have interviewed 500 physicians India produces a lot of doctors. India needs Indian doctors only reason why we are bringing them because that are vacant force in United Kingdom. These doctors will come here. They will get further training because my skill is patient safety, leadership and soft skills of being a good doctor, and then at the end of the day three years hopefully they will go back to serve India and the United Kingdom will make its own workforce so that both the countries can grow to get. Anything which I do must be beneficial for the patients. Anything I do must be beneficial for both great nations. That is what my plan. I always said, “when we all grow together, when we are all are successful, the world is successful and everybody’s happy and we can all look back “. Saul Marquez: A very great mission Umesh, and now we’re getting close to the end of the interview the time usually just flies. Let’s pretend you and I are building a medical leadership course and what it takes to be successful in patient safety. The one on one of Dr. Umesh Prabhu. So I’ve got five questions for you followed by a book recommendation to the listeners. You ready? Dr. Umesh Prabhu: The most important thing is support your staff, train them very well, and remove the culture of naming shaming blaming because modern Gandhi was an amazing lead. He says Don’t lose faith in humanity. Humanities and ocean, few dirty drops do not make ocean dirty. Staff come to be a good job, make your staff very proud of their workplace, create a sense of belonging, look after them. A happy staff, happy patient. Dr. Umesh Prabhu: The biggest mistake is not to listen to me patient is the most important gift. If you don’t listen to that mother who tells my child is not bad. If you do not listen to the child my father is not bad then you are going to communicate which is the most important thing and I would suggest communication is found to be the factor in 80% of complains and 70% of medical legally. So communicate effectively and as a doctor, nurses work together as a team. Saul Marquez: And it goes to written communications to like using you versus units. Dr. Umesh Prabhu: Absolutely right and electronic prescribing that reduces your error by 70 to 80%. Saul Marquez: Huge. How do you stay relevant Umesh despite all the change? Dr. Umesh Prabhu: I think change is inevitable. Changes the law of life. I think as Bill Clinton who said those that looked at the past and the present will certainly miss the future. With the digitalization, with the world becoming so small, we all have to adopt with the change, we have to cope with the change but we must not lose our full human kindness, compassion, humanity, all those things. It’s all about your attitude. It’s all about how we treat each other as human beings. So we must accept the gene we must adopt the change and I have no doubt digitalization is the way for the future, for a complete transformation of healthcare. Saul Marquez: Beautiful. What would you say is a one area of focus that drives your work? Dr. Umesh Prabhu: I personally feel I would like to make every doctor, every nurse, every healthcare professional and patient safety champion, and leader, for the sake of the patient who trust us. That is what I would like to achieve so that they become patient safety companies. Dr. Umesh Prabhu: I think I’m just sort of generally a very happy go lucky chap. Saul Marquez: I would agree Umesh, I would agree my friend. Dr. Umesh Prabhu: Now done very well and I truly believe that happiness is the big theory of success. Be true to your own soul. Be true to your own conscience and enjoy whatever you do and always have a smile and be confident. Nothing is impossible in this world if you put your heart and soul in it. Saul Marquez: Beautifully said. What book would you recommend to the listeners as part of the syllabus? Dr. Umesh Prabhu: Let me be selfish. I’m just about to publish my own book. Saul Marquez: Oh let’s hear about it. Dr. Umesh Prabhu: Transformational Leaders. Transformational Leaders. Dr. Umesh Prabhu: It’s all about Mahatma Gandhi, Nelson Mandela, Martin Luther King. Transformational Leaders. They have their purpose and they transform anything by working with everyone and being kind and cutting and supporting, guiding, inspiring, motivate. Saul Marquez: And when is the book coming out Umesh? Dr. Umesh Prabhu: But really within the next couple of months, month or two, does got 10 chapters. How to stay true to your values and how to build your resilience, how to build a good team, how to create positive energy, and how to work together as a team, and how to transform the world and make it a better place for each and live. Saul Marquez: Well congratulations on that book and by the time this interview goes live we’ll make sure to coordinate it with the launch. So you’re listening right now that means the book is live so check out the show notes for a link to Umesh’s book, outcomesrocket.health and type in umesh in the search bar that’s umesh, you’re going to find the podcast there as well as a link to that book and also a full transcript of our discussion here today. Dr. Prabhu, we really appreciate you coming on the podcast there. If you can just share a closing thought with the listeners and the best place where they could get in touch or follow your work. Dr. Umesh Prabhu: First and foremost I want to thank you. And this has been the best interview I’ve ever done. If anyone is interested in conversation safety please ask them to contact me. I’m on Twitter. I’m on Linkedin. This is the mission. My purpose is to make healthcare safest and the best at affordable for each and every human being. Health is the wealth of the nation. And we need healthy people to create wealth for the nation. For me it has been a great pleasure talking to you and hope many people will contact. Saul Marquez: Umesh, thank you very much and looking forward to staying in touch. Dr. Umesh Prabhu: Thank you very much Saul. You take care, look out for yourself. The above audio transcript of “Replacing a Culture of Naming, Blaming and Shaming with Umesh Prabhu, Medical Advisor for Edgehill University for International Medical Recruitment” was transcribed by the best audio transcription service called Sonix. If you have to convert audio to text in 2019, then you should try Sonix. Transcribing audio files is painful. Sonix makes it fast, easy, and affordable. I love using Sonix to transcribe my audio files.